The Engineering with LEGOS Program (Gr. 4-6) provides students with the opportunity to explore engineering, computers and science, using LEGO Mindstorm products. 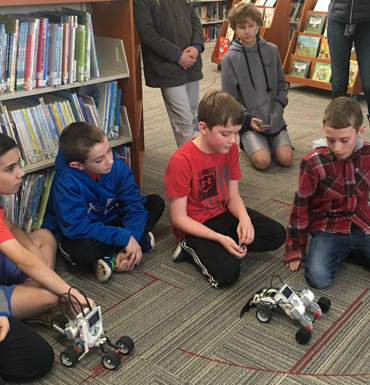 Students collaborate with their peers to build robots and program them to complete specific tasks.